Check for updates to get the latest version of OmniGraffle for Mac! We’ve also added and clarified our canvas types. OmniGraffle 7.4 now has three canvas sizing modes: Fixed, Flexible, and Infinite. We think these three specific types make it a lot easier to pick exactly what you need, especially for new folks. Fixed should be used when you have very specific constraints to satisfy. Infinite doesn’t even care about an edge — you’ll never see the canvas break. Also included are bug fixes and improvements. Check the release notes for everything! Occasionally we’ll redesign and replace older stencils—with something newer—inside OmniGraffle. Templates, too. 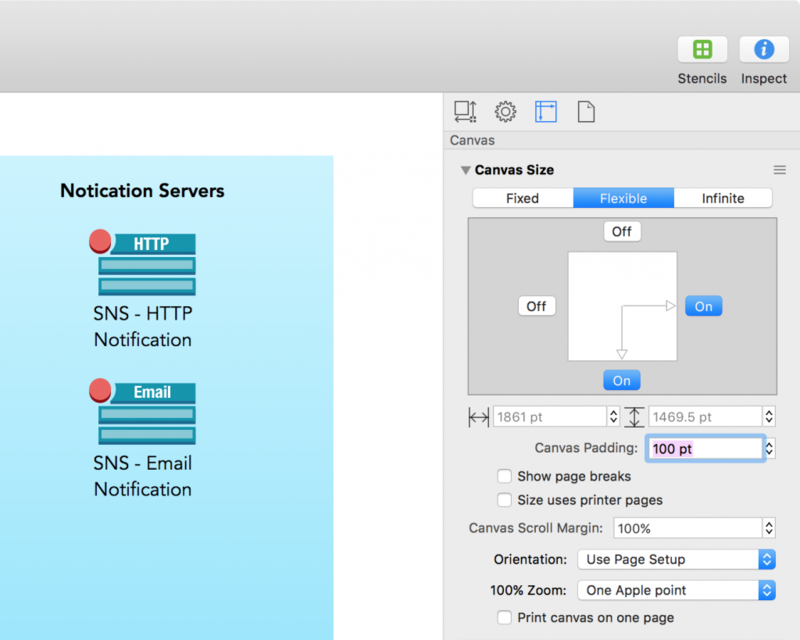 For instance, OmniGraffle 7 featured newer stencils that we collaborated with UX Kits on: Colors, UML, Connections, etc. But there’s no reason to hide those (localized!) stencils from the world. Need a map of Africa? Search Stenciltown now! Information Architecture? Stenciltown has it. OmniGraffle comes with a set of data variables that have various levels of dynamicity. (That word works, right? Good.) They change based on each page or canvas number, what you’ve titled the canvas, a line’s length — things like that. And! Couple these variables with a shared layer to pull off headers and footers for each canvas, page, or layer. Create a new shared layer—each object or bit of text you’d like shared with other canvases should be here. Add text to your layer or add text to an object in the layer; select Edit->Insert Variable->Page Number (or whatever!). If you’re just starting your Graffle, use Duplicate to add more canvases that include the Shared Layer. If you’ve already finished and found this searching for a fast way to create headers(! ), drag the Shared Layer to each canvas you’d like to add it to. That’s it! Easy, flexible, and ready to save you some time. Removing sensitive information from screenshots, images, or documents is easy—and sharing the result is even easier with Copy as PNG. First, draw a regular old object as close to your final size as you can manage. You can always resize. Finally, select everything you’d like to share and select Copy As PNG from the shortcut menu. Boom, paste, done. Censoring a photo with a pixelated object. Included in the latest version of OmniGraffle, v7.3, is the ability to create and present your objects, charts, and canvases using Artboard Layers. Previously, Presentation Mode was limited to Canvases; with Artboards, OmniGraffle will zoom in on to the exact border of your Artboard which means a lot more flexibility. Also included: panning, zooming, and a sidebar that lists both canvases and artboards. 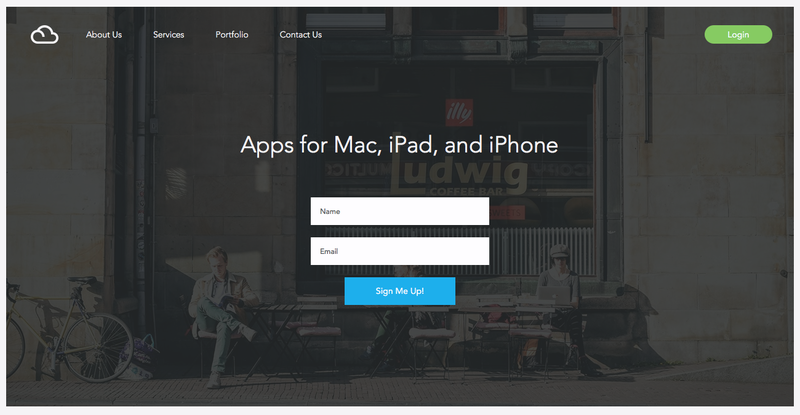 Make mockups faster than ever with a complete UI Kit. We recently commissioned UX Kits to put together a complete stencil of UI components for the web. The result is a feature-complete, attractive set that covers the spectrum. Complete with all the basics, like form fields and headers, grids and buttons, and loaded with more: navigation, footers, hero images, widgets, media, community and social content, and commerce. Download the stencil and get started. In OmniGraffle, it’s easy to select similarly styled lines and shapes to modify their attributes, move them all at once, or reorder them across layers or canvases. Say you’ve got a few hundred shapes that all have a three-pixel-thick double stroke that you want to move to their own layer. And you also have a few hundred shapes with a two-pixel-thick single stroke. You definitely don’t want to select them one by one as they’re scattered all over a vast (nearly infinite!) canvas. By selecting just one of those shapes and clicking Similar Objects from the Select contextual menu or menu bar, OmniGraffle will do a little math, find exactly the shapes that share similarities, and select them all. Use OmniGraffle as a reader…for free! Don’t forget that you can share documents in their native canvases-and-layers glory: let your colleagues, coworkers, family, and friends know that they can download OmniGraffle from the Mac App Store, use it for free, and check out your latest wireframe or diagram. Share your work without jumping through the export hoops! One of the major new features in OmniGraffle 7 is an Autosizing Canvas. When your project needs more room, a single click can add an infinitely (well, mostly) expanding workspace in any or all directions. Get the basics of the Pen & Line tools by creating a leaf in our latest OmniGraffle tutorial video. A quick, simple example of creating Bézier curves—it’s easier than you think!